Shawn's commitment to people and extensive expertise in the healthcare, higher education, and science and technology markets align with our core focus and values. He will be a key asset to our Mid-Atlantic leadership team. 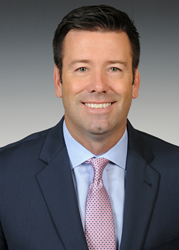 Gilbane Building Company is pleased to welcome Shawn Carlin as Vice President in our Philadelphia Office. Mr. Carlin brings extensive and relevant industry experience, as well as an in-depth knowledge of the local market. With over 20 years in Philadelphia, most recently serving as Vice President for a local builder, he brings a thorough understanding of doing business in the City. Mr. Carlin has extensive experience in healthcare, corporate and institutional construction; having worked with clients such as the University of Pennsylvania, Main Line Health, Thomas Jefferson Hospital, CBRE and the Temple University Health System. In his role as Vice President, Shawn will leverage his experience, relationships and successful track record in these key markets, as well as his executive leadership skills to support Gilbane’s growth in the greater Philadelphia area. Mr. Carlin holds a Bachelor of Science degree in Civil Engineering from Temple University in Philadelphia, PA.
Gilbane provides a full slate of construction and facilities-related services – from pre-construction planning and integrated consulting capabilities to comprehensive construction management, general contracting, design-build and facility management services – for clients across various markets. Founded in 1873 and still a privately held, family-owned company, Gilbane has more than 50 office locations around the world. Gilbane’s Philadelphia office is located in the Wanamaker Building at 100 Penn Square East, Suite 1040, Philadelphia, PA 19107. For more information, visit http://www.gilbaneco.com.